How many karats does it take to make an “it girl”? Answer, just this one! 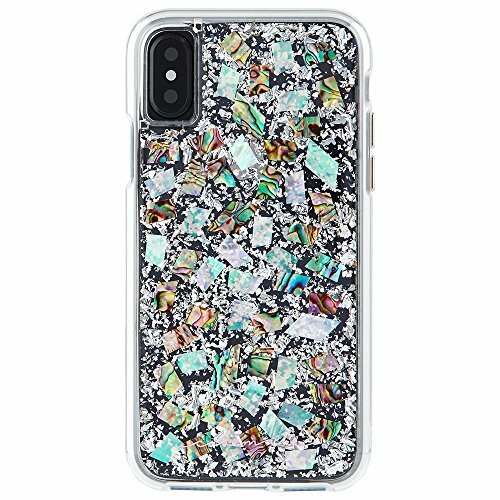 Inspired by the chic lucite handbags of the 1950s and 1960s, the Karat iPhone X case will step up your shine game with genuine mother of pearl elements encased in clear resin. With metallic silver highlights, military strength impact protection, dual layer protection, a slim silhouette, shock absorbing bumpers, anti-scratch technology, refined natural feel metallic buttons, and a lifetime warranty you can't go wrong. 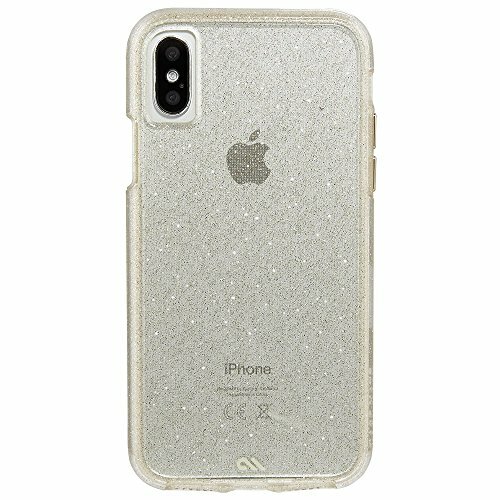 This unique Karat case with real mother of pearl will enhance the beauty and style of your Apple iPhone X. Here at Case-Mate, we know that a case isn’t just something you slip on the back of your iPhone X and forget. It’s a fashion accessory in its own right. 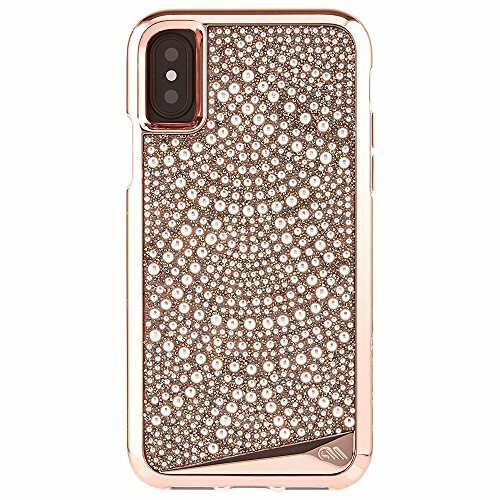 A phone case expresses your personality, accentuates your look, and – most importantly – protects your Apple iPhone X. But just because it’s a practical necessity doesn’t mean it can’t be beautiful. Choose your style! Shine bright like a diamond with 800+ genuine crystals! You definitely won’t go unnoticed with the sparkle of the Brilliance case in your hand. Featuring a stronger new design with a full shock-absorbing layer, this case is just as tough as it is stunning. A beautifully faceted metal accent completes the look of your iPhone X, offering the perfect balance between elegance and edge. Here at Case-Mate, we know that a case isn’t just something you slip on the back of your iPhone X and forget. It’s a fashion accessory in its own right. A phone case expresses your personality, accentuates your look, and – most importantly – protects your Apple iPhone X. But just because it’s a practical necessity doesn’t mean it can’t be beautiful. Choose your style! 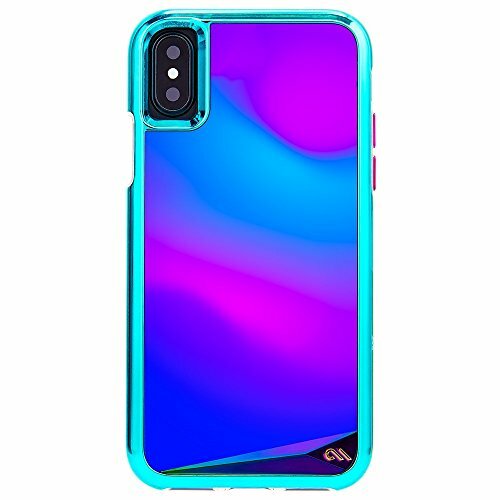 Inspired by one of the latest runway trends, its captivating display of color and sleek silhouette are sure to make this iPhone X case an insta-favorite. 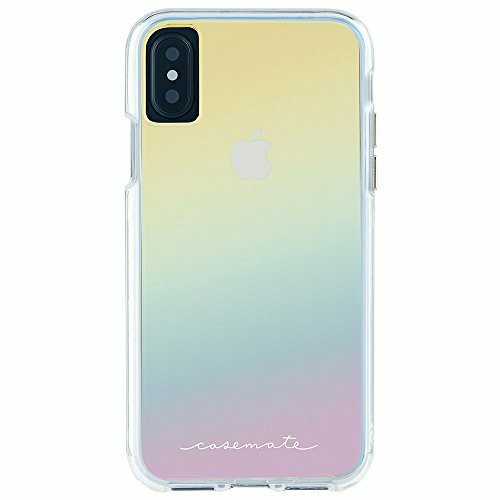 The beautiful colors shimmer and glow making this a truly unique fashion accessory for your iPhone X. Here at Case-Mate, we know that a case isn’t just something you slip on the back of your iPhone X and forget. It’s a fashion accessory in its own right. A phone case expresses your personality, accentuates your look, and – most importantly – protects your Apple iPhone X. But just because it’s a practical necessity doesn’t mean it can’t be beautiful. Choose your style! Shake me, flip me, turn me (right round baby, right round)! 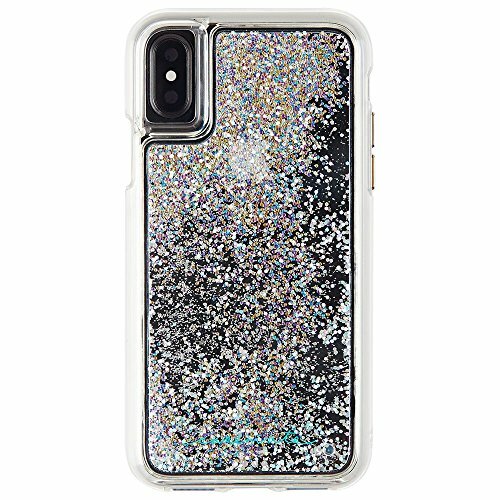 Let the dynamic snow globe effect of this Waterfall case for the Apple iPhone X captivate you with its cascading sparkle and tumbling glitter. Offering enhanced dual-layer protection with refined metallic button accents, this case has all the right moves. Here at Case-Mate, we know that a case isn’t just something you slip on the back of your iPhone X and forget. It’s a fashion accessory in its own right. 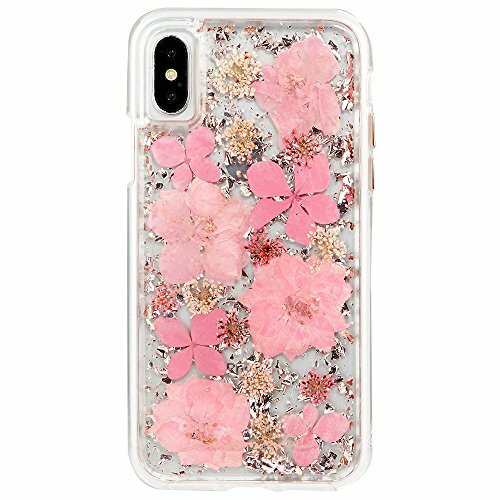 A phone case expresses your personality, accentuates your look, and – most importantly – protects your Apple iPhone X. But just because it’s a practical necessity doesn’t mean it can’t be beautiful. Choose your style! Ultra clear, sleek, protective, easy peasy! This minimalist case has everything you need: a slim profile, military grade drop protection, and UV yellowing resistant materials. Sleek, and protective, the Ultra Clear Tough Clear case features a minimalistic design that will fit every occasion. This minimalist case has everything you need: a slim profile, military grade drop protection, and UV yellowing resistant materials. The case’s ultra-clear design allows you to show off the simplistic beauty of your Apple iPhone X without having to worry about UV yellowing. Available in Clear and Smoke, our indistinguishable metallic buttons add a refined edge that makes this case tough to beat. Here at Case-Mate, we know that a case isn’t just something you slip on the back of your iPhone X and forget. It’s a fashion accessory in its own right. 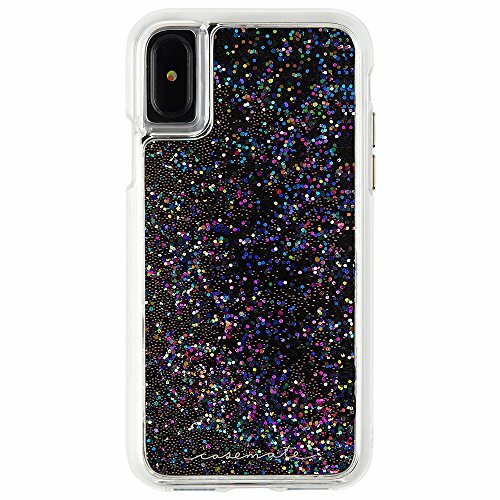 A phone case expresses your personality, accentuates your look, and – most importantly – protects your Apple iPhone X. But just because it’s a practical necessity doesn’t mean it can’t be beautiful. Choose your style! Made with Genuine Flowers, our NEW Karat Petals collection pairs elegance with classic beauty. 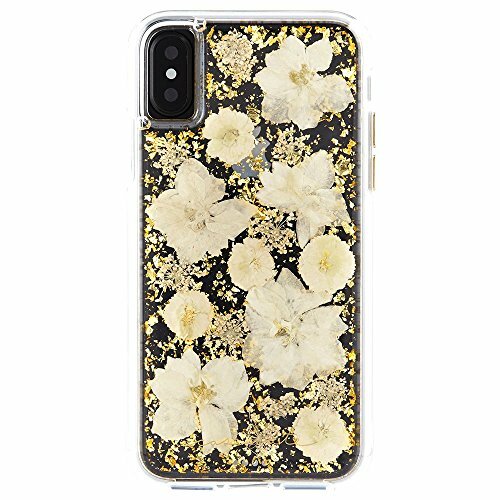 Delicately dried flowers with eye-catching metallic elements are encased in clear resin to give this case a truly elegant twist. Anti-scratch technology works to preserve the intricate pattern while our signature metallic buttons emphasize the delicate petals. 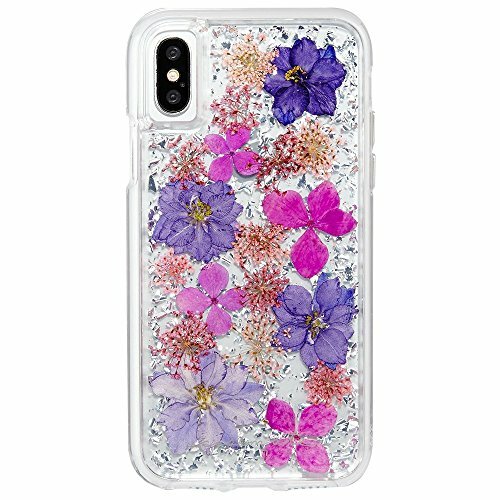 Since each case contains real flowers, no two cases will be exactly the same, allowing you to showcase the individuality of both you and your beautiful and protective Apple iPhone X. Here at Case-Mate, we know that a case isn’t just something you slip on the back of your iPhone X and forget. It’s a fashion accessory in its own right. 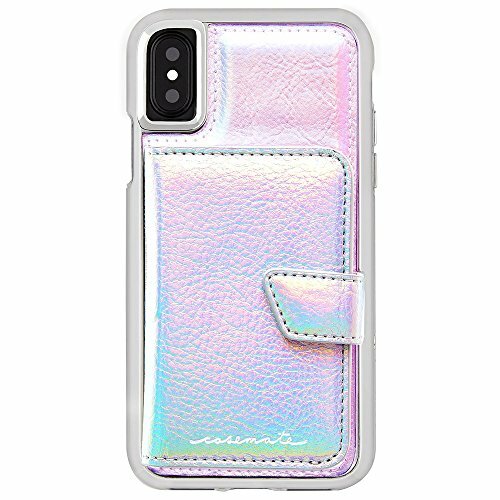 A phone case expresses your personality, accentuates your look, and – most importantly – protects your Apple iPhone X. But just because it’s a practical necessity doesn’t mean it can’t be beautiful. Choose your style! Genuine crystals that light up! Stand out in the crowd with our most innovative and exciting accessory yet. 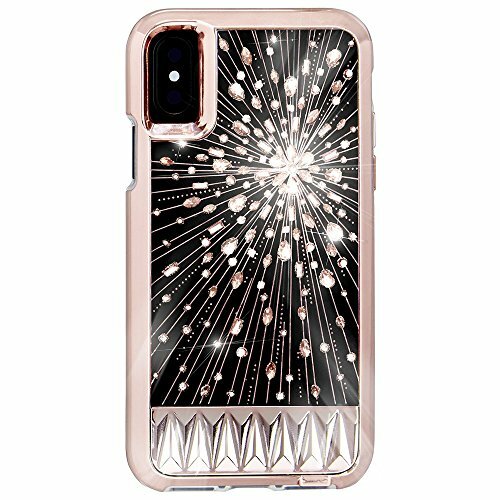 The Luminescent iPhone X case is studded with genuine inlaid crystals that will light up at the touch of a button. Enclosed in a soft rose gold outer shell and adorned with metallic buttons, this case is as luxurious as it is unique. Light on or off, this case is a sight to behold! Here at Case-Mate, we know that a case isn’t just something you slip on the back of your iPhone X and forget. It’s a fashion accessory in its own right. A phone case expresses your personality, accentuates your look, and – most importantly – protects your Apple iPhone X. But just because it’s a practical necessity doesn’t mean it can’t be beautiful. Choose your style! Inspired by turquoise jewelry and chic Lucite handbags from the 1950’s and 1960’s, our brand NEW Karat Turquoise case is perfect for nights in, nights out, and every occasion in between. Its beautiful color is enhanced by metallic soft rose gold leaf highlights. The two-piece construction safeguards it against bumps and falls while our anti-scratch technology keep it clear and smooth. The distinct metallic buttons finish off the refined look, ensuring its timeless grace and beauty. Paired with your favorite statement earrings, you, and your case, will be sure to attract every eye in the room. Here at Case-Mate, we know that a case isn’t just something you slip on the back of your iPhone X and forget. It’s a fashion accessory in its own right. 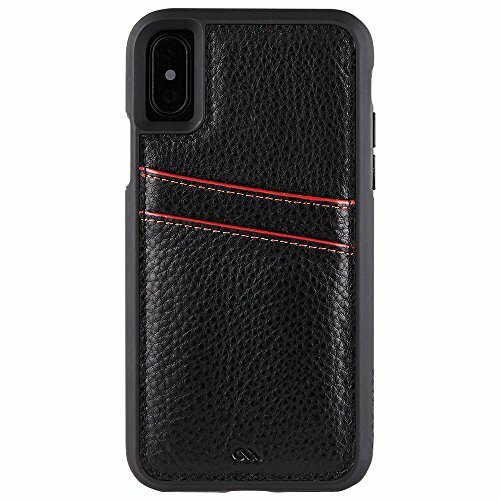 A phone case expresses your personality, accentuates your look, and – most importantly – protects your Apple iPhone X. But just because it’s a practical necessity doesn’t mean it can’t be beautiful. Choose your style! The Case-Mate Tough ID Wallet case has an embedded wallet panel crafted from genuine leather, and has slots that can hold up to two cards. The Tough ID case is durable and stylish wallet case with a dual shock absorbing layer of protection, and it’s chic red stitching and metallic buttons make this case a perfect ten. Here at Case-Mate, we know that a case isn’t just something you slip on the back of your iPhone X and forget. It’s a fashion accessory in its own right. A phone case expresses your personality, accentuates your look, and – most importantly – protects your Apple iPhone X. But just because it’s a practical necessity doesn’t mean it can’t be beautiful. Choose your style! Pretty and practical. The Compact Mirror Case is all you’ll ever need to leave for the grocery store, a workout class, or your favorite bar. The chic vented pocket design holds up to four cards for easy access at any time while the compact mirror and magnetic tab closure makes it the ideal accessory for a quick touch up on-the-go. Next time you leave the house, all you’ll have to remember is your Compact Mirror case…and your keys! Holds up to 4 cards. Here at Case-Mate, we know that a case isn’t just something you slip on the back of your iPhone X and forget. It’s a fashion accessory in its own right. 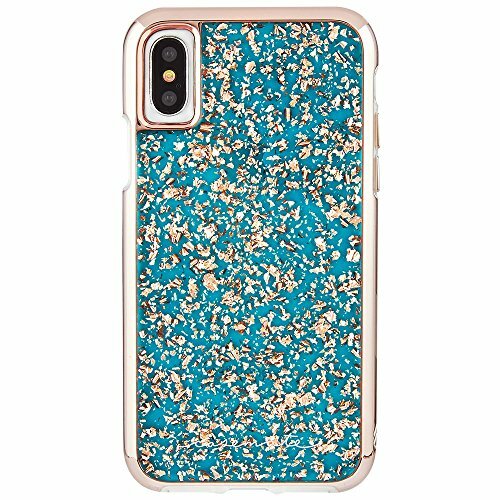 A phone case expresses your personality, accentuates your look, and – most importantly – protects your Apple iPhone X. But just because it’s a practical necessity doesn’t mean it can’t be beautiful. Choose your style! Are you feeling romantic? Active? Loveable? Happy? The thermochromic film that covers the back of the case will change color with your mood with the stunning What’s Your Mood? Case. This conversation starter is equipped with a faceted metal accent and our trademark metallic buttons. Outlined in gorgeous, metallic turquoise, the two-piece construction will leave you worry free from all bumps and drops, while allowing you to be a total trend-setter. Here at Case-Mate, we know that a case isn’t just something you slip on the back of your iPhone X and forget. It’s a fashion accessory in its own right. A phone case expresses your personality, accentuates your look, and – most importantly – protects your Apple iPhone X. But just because it’s a practical necessity doesn’t mean it can’t be beautiful. Choose your style! 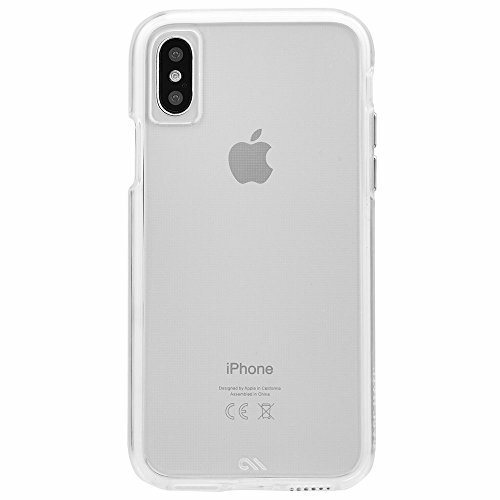 Clear, sleek, and protective, the Tough Clear case for the Apple iPhone X features a minimalistic design that will fit every occasion. The new and improved One Piece case boasts an ultra slim profile with 10 - foot drop protection. Our new construction also features cushioned corners for shock absorption, soft flexible sides for an enhanced grip, and non-toxic BPA free plastic. The case’s ultra - clear design allows you to show off the simplistic beauty of your device without having to worry about UV yellowing. Our indistinguishable metallic buttons add a refined edge that makes this case tough to beat. Here at Case-Mate, we know that a case isn’t just something you slip on the back of your iPhone X and forget. It’s a fashion accessory in its own right. A phone case expresses your personality, accentuates your look, and – most importantly – protects your Apple iPhone X. But just because it’s a practical necessity doesn’t mean it can’t be beautiful. Choose your style! 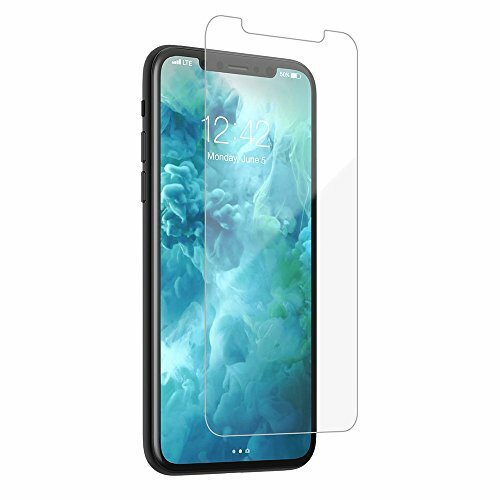 Made from an extremely durable tempered glass, this iPhone X screen protector provides unrivaled impact and scratch protection. Glass also offers crystal clear resolution and enhanced touch sensitivity, making it the first choice in screen protection from a reputable brand you can trust. Here at Case-Mate, we know that a durable glass screen protector isn’t just something you slip on your Apple iPhone X and forget. But just because it’s a practical necessity doesn't mean it can't be beautiful and highly functional to resist fingerprints. 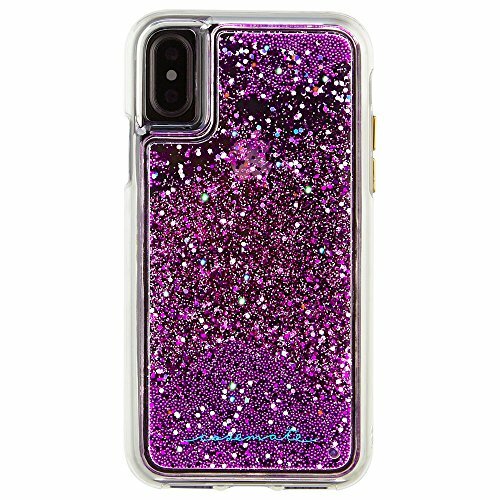 Simple, elegant, and sophisticated, the updated Sheer Glam case is beautiful and tough at the same time. The NEW sparkle effect reflects the light in a dazzling pattern while the UV yellowing resistant material protects it from the harsh effects of the sun. Our signature two-piece construction and anti-scratch technology protect your iPhone X from any drops or uneven surfaces. Our signature metallic buttons add edge and polish to this sparkling beauty that elevate this chic new accessory. 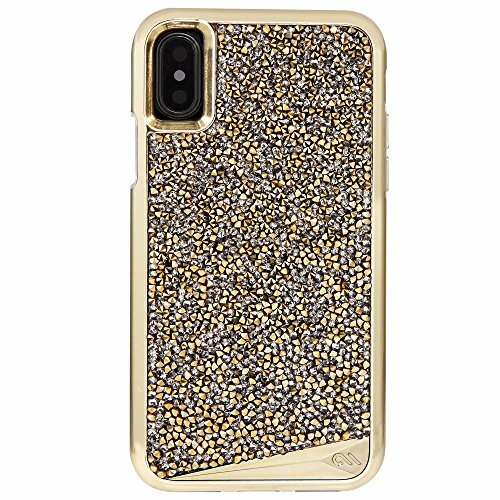 The Sheer Glam case allows you to subtly show off your glittering personality while also letting your Apple iPhone X shine through. Here at Case-Mate, we know that a case isn’t just something you slip on the back of your iPhone X and forget. It’s a fashion accessory in its own right. 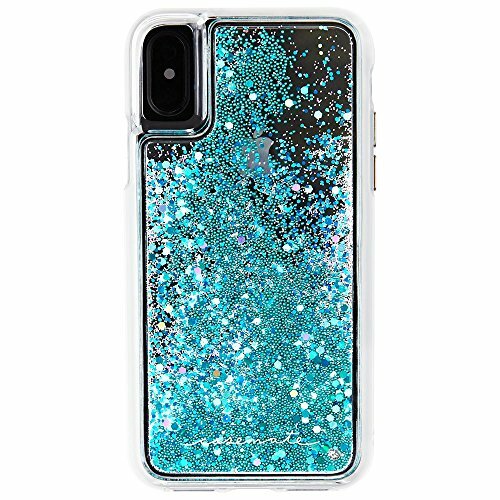 A phone case expresses your personality, accentuates your look, and – most importantly – protects your Apple iPhone X. But just because it’s a practical necessity doesn’t mean it can’t be beautiful. 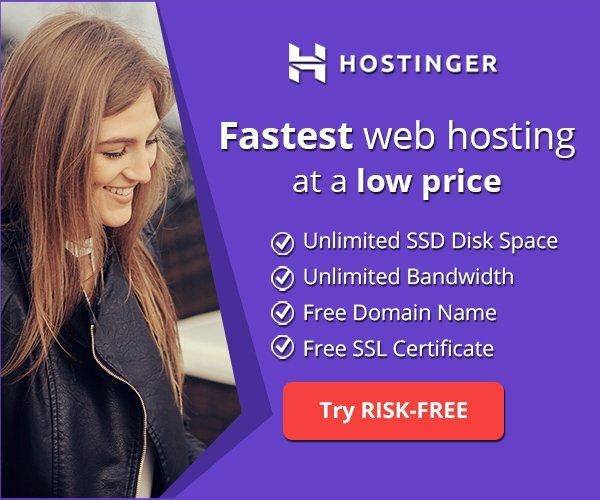 Choose your style!